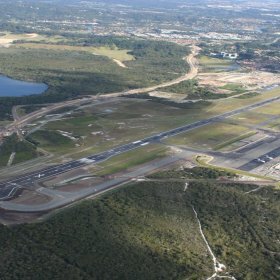 Gold Coast Airport (GCA) commissioned Rehbein Airport Consulting to support the contract administration and technical supervision of the works which were designed by Rehbein Airport Consulting in conjunction with others. The physical works commenced at the beginning of September 2006 and were completed and handed back to GCA at the end of March 2007. 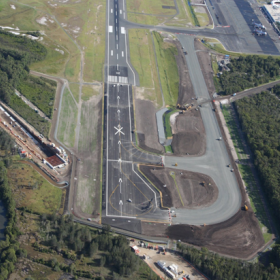 Works also included taxiways, apron and some taxiway widening work. 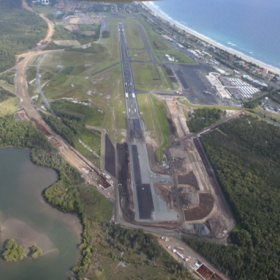 Review of proposed geometric design of runway extension, parallel taxiway and apron extension for compliance with relevant aerodrome standards to confirm statutory requirements. 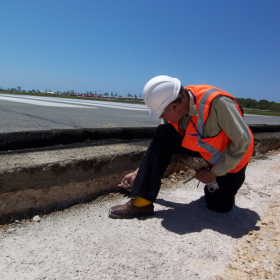 Aircraft pavement thickness design, airfield lighting and line-marking design. Contract administration and technical supervision of the works.